This 4 star hotel - ideally situated in Porta Pia - offers various luxurious facilities for everyone who want to discover the wonderful city of Rome! 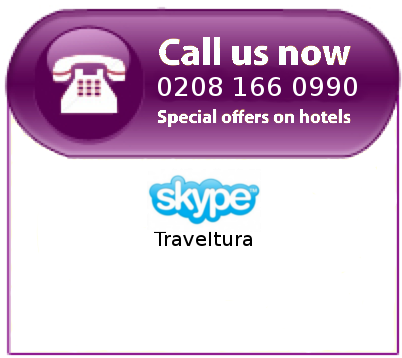 Take this chance and book now our best offer! In one of the most amazing parts of Rome, Central Rome Termini, this amazing 4 star hotel is situated. This luxury hotel provides many facilities in order to make your stay in Rome as pleasant as possible! Ideally located in Trastevere this 4 star luxury hotel offers great facilities. Experience your holiday in Rome in one of the best hotels of this city for a special deal! Discover this luxurious 4 star hotel which is ideally located in the centre of Rome. Book now this special offer and experience your holiday in Rome at its best! * Prices based on double room. Prices are subject to availability. Choose to spend the holiday in Rome? Why don't you take advantage of our top deals on Rome's Incognito hotels for prices that won't tighten your budget. Whether you are opting for ancient Rome or a more luxurious view of Rome, our wide range of Incognito Hotels allows you to tailor your holiday to your specific needs whilst benefiting from a generous discount. The Incognito Hotels of Rome offer half price offers, whilst still being rewarded with full price service and quality. Whether your a regular traveller or a first timer, pick one of our Incognito Hotels in Rome and make your holiday an unforgettable experience.